Titus ( /ˈtaɪtəs/ ; Latin : Titus Flavius Caesar Vespasianus Augustus; [lower-alpha 1] 30 December 39 AD – 13 September 81 AD) was Roman emperor from 79 to 81. A member of the Flavian dynasty, Titus succeeded his father Vespasian upon his death, thus becoming the first Roman emperor to come to the throne after his own biological father. Before becoming emperor, Titus gained renown as a military commander, serving under his father in Judea during the First Jewish–Roman War. The campaign came to a brief halt with the death of emperor Nero in 68, launching Vespasian's bid for the imperial power during the Year of the Four Emperors. When Vespasian was declared Emperor on 1 July 69, Titus was left in charge of ending the Jewish rebellion. In 70, he besieged and captured Jerusalem, and destroyed the city and the Second Temple. For this achievement Titus was awarded a triumph; the Arch of Titus commemorates his victory to this day. During his father's rule, Titus gained notoriety in Rome serving as prefect of the Praetorian Guard, and for carrying on a controversial relationship with the Jewish queen Berenice. Despite concerns over his character, Titus ruled to great acclaim following the death of Vespasian in 79, and was considered a good emperor by Suetonius and other contemporary historians. The praetorian prefect was a high office in the Roman Empire. 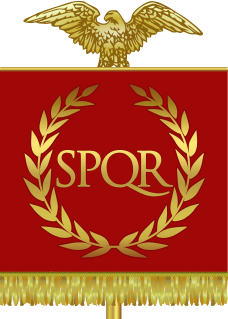 Originating as the commander of the Praetorian Guard, the office gradually acquired extensive legal and administrative functions, with its holders becoming the Emperor's chief aides. Under Constantine I, the office was much reduced in power and transformed into a purely civilian administrative post, while under his successors, territorially-defined praetorian prefectures emerged as the highest-level administrative division of the Empire. The prefects again functioned as the chief ministers of the state, with many laws addressed to them by name. 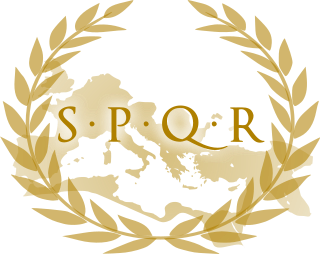 In this role, praetorian prefects continued to be appointed by the Eastern Roman Empire until the reign of Heraclius in the 7th century AD, when wide-ranging reforms reduced their power and converted them to a mere overseers of provincial administration. The last traces of the prefecture disappeared in the Byzantine Empire by the 840s. Gaius Suetonius Tranquillus, commonly known as Suetonius, was a Roman historian belonging to the equestrian order who wrote during the early Imperial era of the Roman Empire. The Colosseum or Coliseum, also known as the Flavian Amphitheatre, is an oval amphitheatre in the centre of the city of Rome, Italy. Built of travertine, tuff, and brick-faced concrete, it is the largest amphitheatre ever built. The Colosseum is situated just east of the Roman Forum. 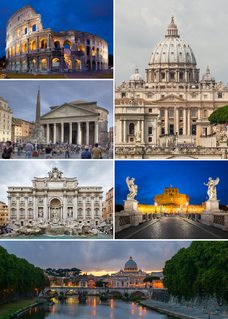 Construction began under the emperor Vespasian in AD 72 and was completed in AD 80 under his successor and heir, Titus. Further modifications were made during the reign of Domitian (81–96). These three emperors are known as the Flavian dynasty, and the amphitheatre was named in Latin for its association with their family name (Flavius). Apotheosis is the glorification of a subject to divine level. The term has meanings in theology, where it refers to a belief, and in art, where it refers to a genre. Titus was born in Rome, probably on 30 December 39 AD, as the eldest son of Titus Flavius Vespasianus—commonly known as Vespasian—and Domitilla the Elder. He had one younger sister, Domitilla the Younger (born 45), and one younger brother, Titus Flavius Domitianus (born 51), commonly referred to as Domitian. The political career of Vespasian included the offices of quaestor, aedile and praetor, and culminated with a consulship in 51, the year Domitian was born. As a military commander, he gained early renown by participating in the Roman invasion of Britain in 43. What little is known of Titus's early life has been handed down to us by Suetonius, who records that he was brought up at the imperial court in the company of Britannicus,  the son of emperor Claudius, who would be murdered by Nero in 55. Upon his arrival in Rome in 71, Titus was awarded a triumph. Accompanied by Vespasian and Domitian, Titus rode into the city, enthusiastically saluted by the Roman populace and preceded by a lavish parade containing treasures and captives from the war. Josephus describes a procession with large amounts of gold and silver carried along the route, followed by elaborate re-enactments of the war, Jewish prisoners, and finally the treasures taken from the Temple of Jerusalem, including the Menorah and the Pentateuch. Simon Bar Giora was executed in the Forum, after which the procession closed with religious sacrifices at the Temple of Jupiter. The triumphal Arch of Titus, which stands at one entrance to the Forum, memorializes the victory of Titus. During the Jewish wars, Titus had begun a love affair with Berenice, sister of Agrippa II. The Herodians had collaborated with the Romans during the rebellion, and Berenice herself had supported Vespasian in his campaign to become emperor. In 75, she returned to Titus and openly lived with him in the palace as his promised wife. The Romans were wary of the eastern queen and disapproved of their relationship. [ citation needed ] When the pair was publicly denounced by Cynics in the theatre, Titus caved in to the pressure and sent her away,  but his reputation suffered further regardless. During the second visit, in spring of AD 80, a fire broke out in Rome, burning large parts of the city for three days and three nights. Although the extent of the damage was not as disastrous as during the Great Fire of 64—crucially sparing the many districts of insulae—Cassius Dio records a long list of important public buildings that were destroyed, including Agrippa's Pantheon, the Temple of Jupiter, the Diribitorium, parts of the Theatre of Pompey, and the Saepta Julia among others. Once again, Titus personally compensated for the damaged regions. According to Suetonius, a plague also broke out during the fire. The nature of the disease, however, or the death toll are unknown. The Flavian Amphitheatre, better known as the Colosseum, was completed after 10 years construction during the reign of Titus and inaugurated with spectacular games that lasted for 100 days. See Inaugural games of the Flavian Amphitheatre . Another contemporary of Titus was Publius Cornelius Tacitus, who started his public career in 80 or 81 and credits the Flavian dynasty with his elevation. The Histories —his account of this period—was published during the reign of Trajan. Unfortunately only the first five books from this work have survived until the present day, with the text on Titus's and Domitian's reign entirely lost. Bérénice , a play by Jean Racine (1670) which focuses on the love affair between Titus and Berenice. Tite et Bérénice , a play by Pierre Corneille which was in competition with Racine the same year, and concerns the same subject matter. La clemenza di Tito , an opera by Mozart, that centers around a plot to kill Emperor Titus instigated by Vitellia, daughter of Vitellius, in order to gain what she believes to be her rightful place as Queen. Rear Panel of the Franks Casket . Northumbrian, early 8th century. Whale's bone carving with Anglo-Saxon runic inscription, 22.9 x 19 cm. British Museum, London. Titus leads Roman army into Jerusalem and captures Temple. Inhabitants flee into exile, judgement is passed on offenders, and captives are led away. Berenice of Cilicia, also known as Julia Berenice and sometimes spelled Bernice, was a Jewish client queen of the Roman Empire during the second half of the 1st century. Berenice was a member of the Herodian Dynasty that ruled the Roman province of Judaea between 39 BC and 92 AD. She was the daughter of King Herod Agrippa I and a sister of King Herod Agrippa II. Tiberius Julius Alexander was an equestrian governor and general in the Roman Empire. Born into a wealthy Jewish family of Alexandria but abandoning or neglecting the Jewish religion, he rose to become procurator of Judea under Claudius. While Prefect of Egypt (66–69), he employed his legions against the Alexandrian Jews in a brutal response to ethnic violence, and was instrumental in the Emperor Vespasian's rise to power. In 70, he participated in the Siege of Jerusalem as Titus' second-in-command. 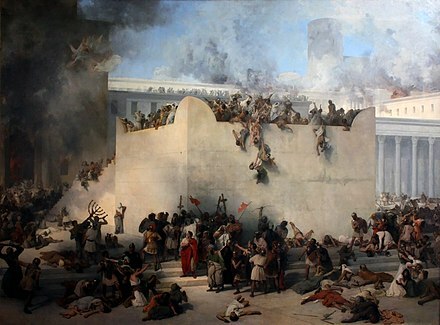 The fiscus Iudaicus or fiscus Judaicus was a tax-collecting agency instituted to collect the tax imposed on Jews in the Roman Empire after the destruction of Jerusalem and its Temple in AD 70. Revenues were directed to the Temple of Jupiter Optimus Maximus in Rome. Marcus Cluvius Rufus was a Roman consul, senator, governor, and historian who was mentioned on several occasions by Tacitus, Suetonius, Cassius Dio, Josephus and Plutarch. The gens Helvidia was a plebeian family at Rome. Members of this gens are first mentioned in the final decades of the Republic. A century later, the Helvidii distinguished themselves by what has been called their "earnest, but fruitless, patriotism." 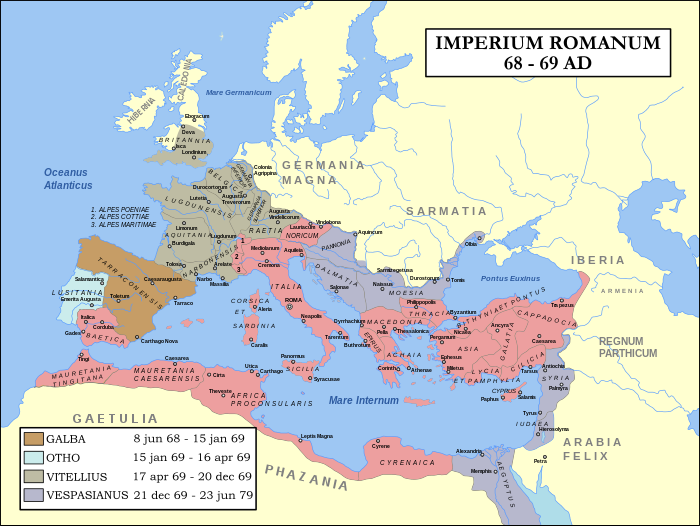 ↑ Suetonius claims Titus was born in the year Caligula was assassinated, 41. However, this contradicts his statement that Titus died in his 42nd year, as well as Cassius Dio, who notes that Titus was 39 at the time of his accession. See Suetonius, The Lives of Twelve Caesars , Life of Titus 1, 11; Cassius Dio, Roman History LXVI.18; and Brian Jones; Robert Milns (2002). Suetonius: The Flavian Emperors: A Historical Commentary. London: Bristol Classical Press. p. 91. ISBN 978-1-85399-613-9. ↑ Schwartz, Seth (1984). "Political, social and economic life in the land of Israel". In Davies, William David; Finkelstein, Louis; Katz, Steven T. The Cambridge History of Judaism: Volume 4, The Late Roman-Rabbinic Period. Cambridge University Press. p. 24. ISBN 9780521772488. ↑ "Titus". The Royal Titulary of Ancient Egypt. Retrieved March 13, 2018. ↑ The exact number of casualties is unknown; however, estimates of the population of Pompeii range between 10,000 ( "Engineering of Pompeii: Ruins Reveal Roman Technology for Construction, Transportation, and Water Distribution". Archived from the original on 2008-07-08. Retrieved 2009-03-10. ) and 25,000 (), with at least a thousand bodies currently recovered in and around the city ruins. ↑ Sanford, Eva Matthews (1937). "Nero and the East". Harvard Studies in Classical Philology. 48: 75–103. doi:10.2307/310691. JSTOR 310691. ↑ Roth, Leland M. (1993). Understanding Architecture: Its Elements, History and Meaning (First ed.). Boulder, CO: Westview Press. ISBN 978-0-06-430158-9. ↑ Claridge, Amanda (1998). Rome: An Oxford Archaeological Guide (First ed.). Oxford, UK: Oxford University Press, 1998. pp. 276–282. ISBN 978-0-19-288003-1. ↑ "Tractate Gittin 56b". www.sefaria.org.il. ↑ Quinn, Thomas (Director) (June 26, 1995). Urban Legends: Season 3 Episode 1 [Television series]. United States. FilmRise. ↑ "Titus's Death". Chabad.org. Retrieved 8 November 2018. Brian Jones; Robert Milns (2002). Suetonius: The Flavian Emperors: A Historical Commentary. London: Bristol Classical Press. p. 91. ISBN 978-1-85399-613-9. "Titus, Flavius Sabinus Vespasianus" . Encyclopædia Britannica . 26 (11th ed.). 1911. p. 1032.